Our organization holds expertise in offering premium quality Sand Casting Strainer. We are a prominent Sand Casting Strainer Manufacturer, Exporter and Supplier based in India. We make our Sand Casting Strainer available for clients in a wide choice of size & MOC with various end connections, pressure rating up to class 600. Designed and manufactured strictly in compliance with the specifications provided, our Sand Casting Strainers have become the preferred choice of the clients. Sand Casting Strainer is efficient in removing foreign particles, debris, lumps etc. from the fluid. The low pressure drop across the filter of our Sand Casting Strainer ensures better degree of filtration. 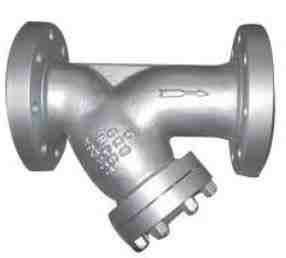 Also, Sand Casting Strainer protects expensive pumps, heat exchangers, meters, valves etc. Sand Casting Strainers find wide application in different industries like food industries, marine industries, refrigeration plant and many more. Remove foreign particles, debris, lumps etc. Protect expensive pumps, heat exchangers, meters, valves, spray nozzles, regulators etc. Testing Standard : API 598 / BS 6755 → Face to Face: ANSI B 16.10 / Mfg. Std. Flange Drilling : ANSI B 16.5 / BS – 10 / DIN / IS / JIS Std.